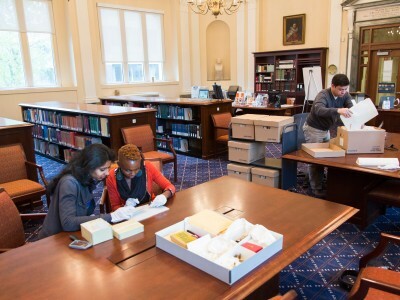 Open to all researchers regardless of their affiliation, Historical & Special Collections houses one of the world’s most comprehensive collections of research materials for the study of legal history. 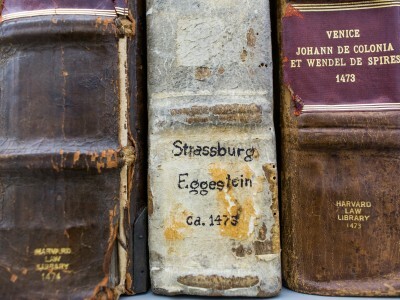 Its chief mission is to acquire, catalog, preserve, and make available to researchers materials that document the history of the law in general and of Anglo-American law in particular. 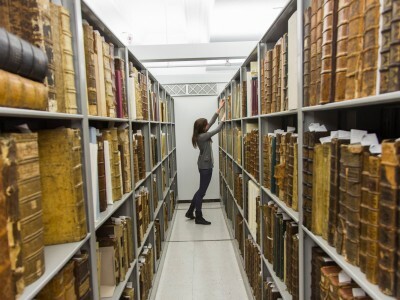 Historical & Special Collections holds nearly 3,000 linear feet of manuscripts, over 100,000 rare books, and more than 70,000 visual images. Please have a look at our recently updated reproduction services and policies. 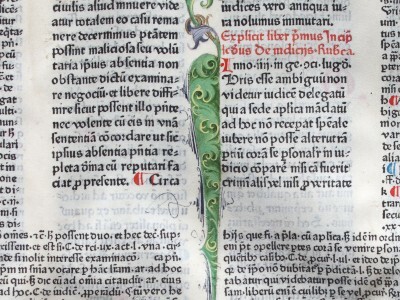 Historical & Special Collections is now using HOLLIS Special Request! Researchers can request material through HOLLIS and register in advance. This registration will be valid at all archives and special collections that use HOLLIS Special Request. View online content that supports our exhibits on display in the Library’s Caspersen Room! Coming Soon: HLS and the Bauhaus! Last Chance for Spicy Reforms and Crystallizing Clap Trap! Image credits: Photos by Brooks Kraft, 2014.